Making a donation is easy. Customers should leave their non-perishable food donations in a bag near their mailbox on Saturday, May 9th, before their letter carrier arrives. 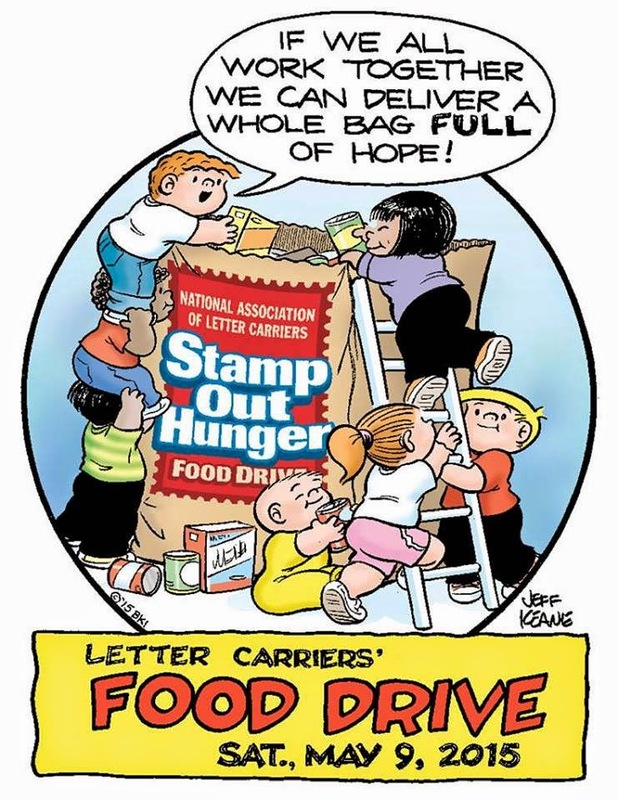 In the days leading up to the Food Drive, letter carriers will be delivering special bags, along with your mail, that be used to make your donations. Food collected during Saturday’s drive will be delivered to local community food banks and food pantries for distribution.